It’s easy. You don’t have anything to keep track of once your items are sent. We do it all. Since 1984 Hi-Tech has specialized in used equipment. 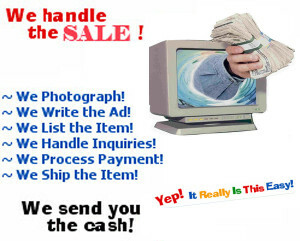 Our customers know us, trust us, and are looking for (and buying) the items you have. We take a variety of payment forms (and the risks/fees associated with them) so you’ll have no fees or account setups for eBay, Pay Pal, etc. No worries about collecting monies or paying sales taxes. You don’t even have to worry about packing, shipping, insurance, claims or returns. You deal with one company, not a lot of strangers calling you at all hours of the day and night asking questions before, during and after the sale. No fraud, spoof or spam emails. 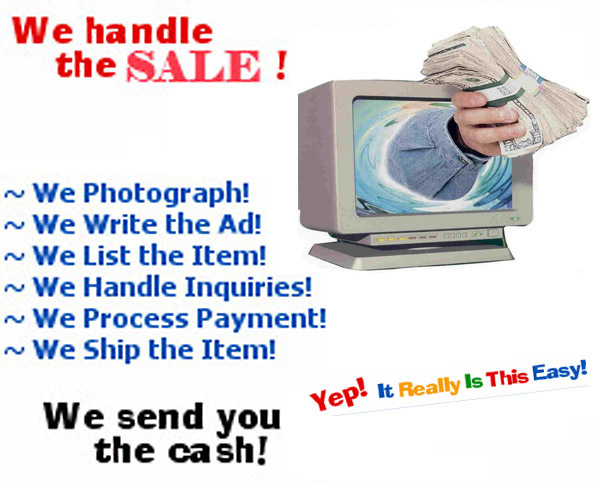 You get the advantage of a brick and mortar business as well as international internet exposure. We can offer warranties and package equipment with other items to facilitate a faster sale. We have toll free numbers, in-house repair and maintenance, professional packing and shipping departments which are available Monday through Friday. 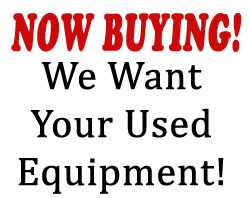 Your equipment will be featured in our regular fax/email advertisements, on our website, social media, eBay store and at trade shows. Our technicians will check your equipment out for free before we list it. We’ll clean it, photograph it and do the necessary research to determine current market value and write accurate descriptions. What’s to think about? Simply sit back and wait for your check to arrive! 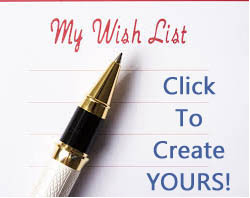 We will contact you after we receive your list and let you know how to proceed. Please DO NOT SEND ANYTHING TO US until we respond. Once your gear is sold you can use the revenue on account for purchase towards other gear or receive a check, your choice. All equipment will be sold as is where is. Hi-Tech will pay consignee by company check on the first Monday following bank clearance of payment and end of inspection period to buyer. For consignment sales, Hi-Tech agrees to market the merchandise, as they see fit, for a period of 30 calendar days. If no price is listed inform, Consignee agrees that Hi-Tech shall have the final authority to determine pricing and to accept or reject offers on equipment. If equipment is not sold, the consignee must retrieve equipment within 60 calendar days of this agreement. If equipment is not picked up, title of ownership of equipment will default to Hi-Tech at which time Hi-Tech will have the right to sell the merchandise with 40% of the sale price going to Hi-Tech for a sales commission. In most cases, revenues will be split 30% to Hi-Tech (which includes any sales transaction fees), and 70% to Consignee but exact fees and terms may vary once an agreement is reached to accept the equipment for consignment. By submitting this form you are requesting Hi-Tech to consider your equipment for consignment. This is not a final consignment agreement or acceptance of consignment terms. If Hi-Tech wishes to proceed with taking this equipment on consignment, we will send you a consignment agreement spelling out exact terms. Just fill out the form below and thanks again for your interest in Hi-Tech Trading. Do not hesitate to call, fax or email us if we can be of further service. If listing multiple items, please attach file here. Also, please list your FIRST item in the fields below. Make * if uploading multiple items, please list the first item here. Price for ALL Enter price here if discounting for purchase of ALL qty. For questions or services, call. © 2019 Hi-Tech Enterprises, Inc. video equipment and service.